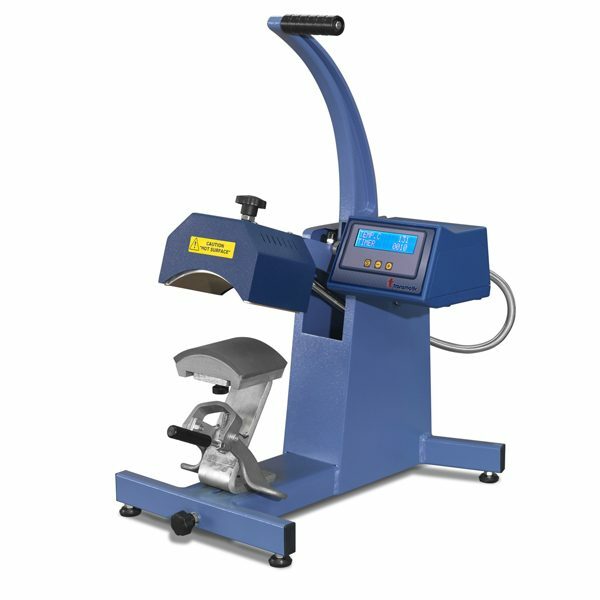 Manual heat press 15 x 15 cm, operated by a new concept of levers. The top plate is not fixed in a rigid manner but will adjust automatically to ensure a proper uniform pressure between the two plates. Digital electronic time and temperature regulation. Exchangeable under plate with rapid screw fitting. Suitable for any type of heat application. 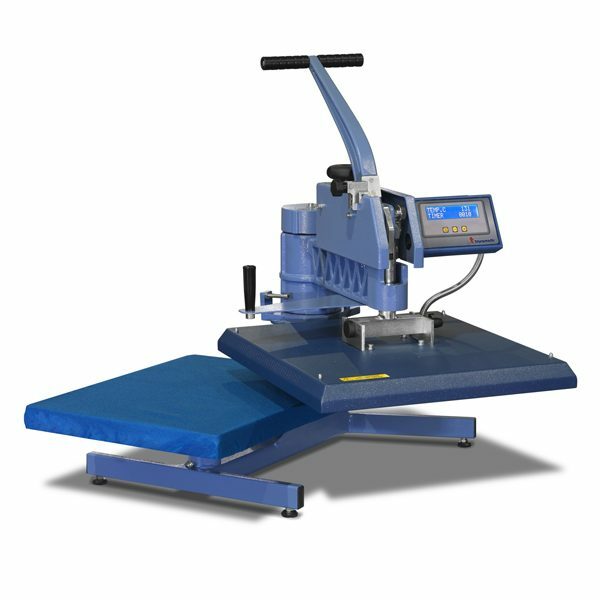 Manual heat press with curved top plate that favours an easy heat transfer printing. 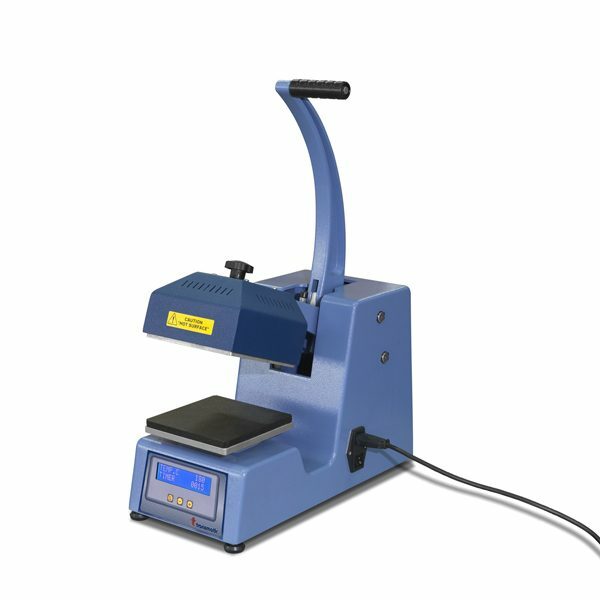 A transfer device insures that transfer and cloth stay firmly in place during processing. Electronic time and temperature regulation. Possibility of Interchangeable bases for children caps. TMH 17D version has a double printing plate. 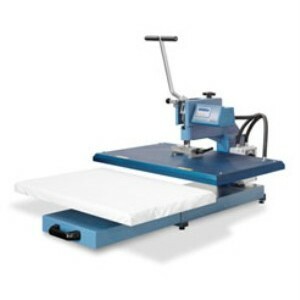 Manual heat press 38 x 38 / 38 x 45 cm. The top plate is not fixed in a rigid manner to ensure an uniform pressure between the upper plate and the bottom plate. Electronic time and temperature regulation. The bottom plate is interchangeable. 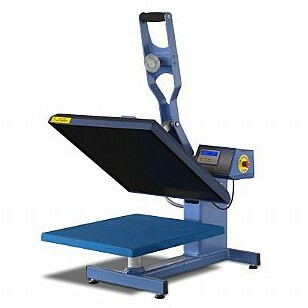 Manual heat press 38 x 38 / 50 x 40 cm. The top plate is not fixed in a rigid manner to ensure an uniform pressure between the upper plate and the bottom plate. Electronic time and temperature regulation. Exchangeable under plate with rapid screw fitting. Suitable for any type of application. Possibility to have the cap accessory as extra option. 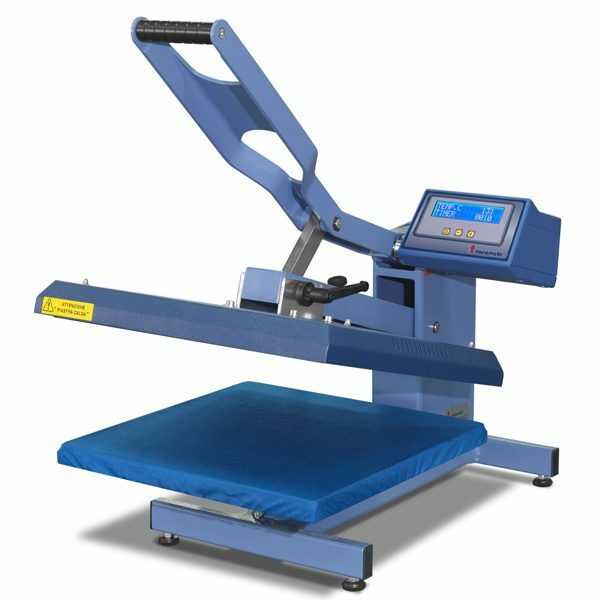 Manual heat press 38 x 45 cm with automatic opening.With emercency stop bottom. 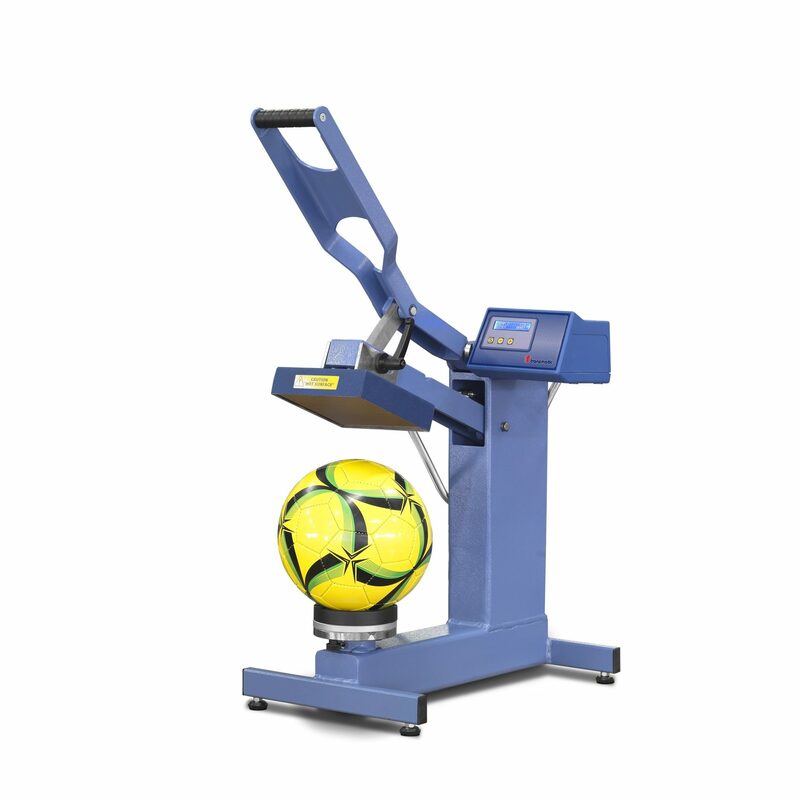 Strong construction and a good and easy pressure regulation. Electronic and digital instruments with visual control of time, temperature and advise of eventual errors. Easy to change underplates. Nomex cover included. Manual heat press 50 x 40 cm with “drawer” opening (by taking out the plate like a drawer). The top plate is not fixed in a rigid manner in order to ensure an uniform pressure between the upper plate and the under one. Electronic time and temperature regulation. Interchangeable plates and cap accessory in option. 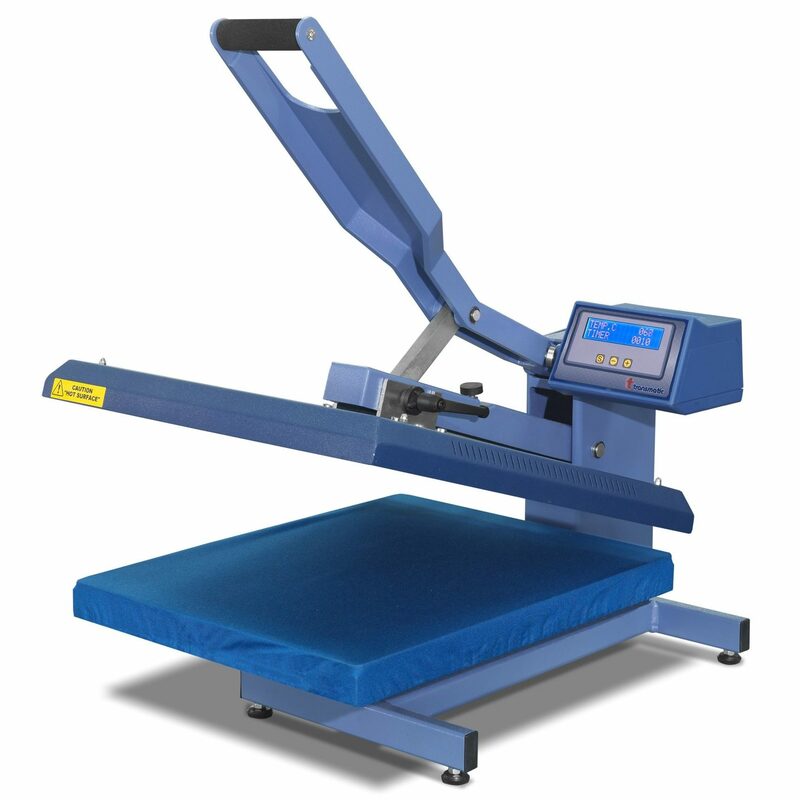 Manual heat press 50 x 40 cm with lateral opening. The top plate is not fixed in a rigid manner to ensure an uniform pressure between the upper plate and the bottom plate. Electronic time and temperature regulation. Exchangeable under plate with rapid screw fitting. Suitable for any type of application. Possibility to have the cap as extra option. 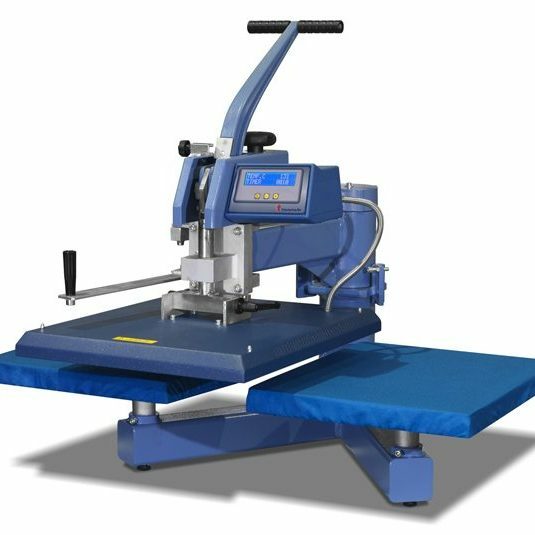 Manual heat press 74 x 50 cm with draw system lateral opening. The top plate is not fixed in a rigid manner to ensure an homogenous pressure between the upper plate and the bottom plate. Electronic time and temperature regulation. Exchangeable under plate with rapid screw fitting. Suitable for any type of application. 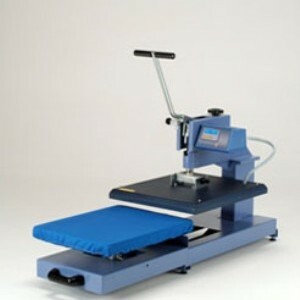 Manual heat press with double heating plate 50 x 40 cm and moveable heatig plates. The top plate is not fixed in a rigid manner and this ensure an uniform pressure between the upper plate and the bottom plate. Electronical and digital time and temperature regulation. Exchangeable under plate with rapid screw fitting. Suitable for any ype of application. Possibility to have the cap accessery.